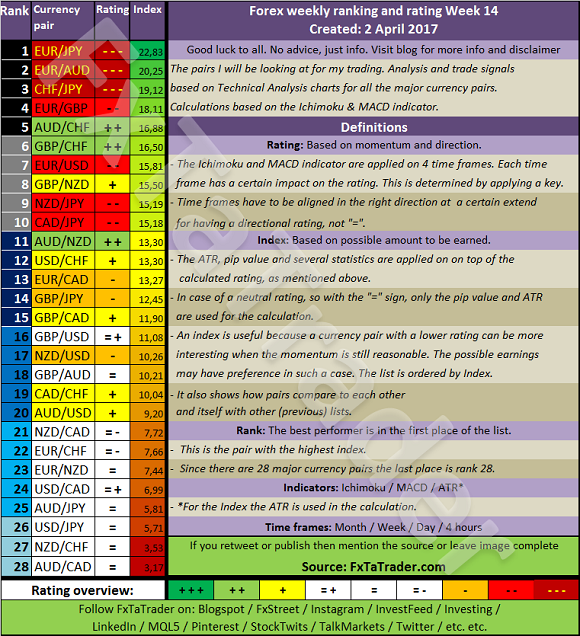 The Top 10 of the Ranking and Rating list for the coming week shows the following stronger currencies being well represented for going long: the JPY(4X) followed by the GBP(3X) and the AUD(2X). The weaker currencies are the EUR(4X) followed by the CHF(3X) and the NZD(2X). Strong: USD, AUD. The preferred range is from 7 to 8. Neutral: JPY, CHF, NZD, CAD. The preferred range is from 3 to 6. 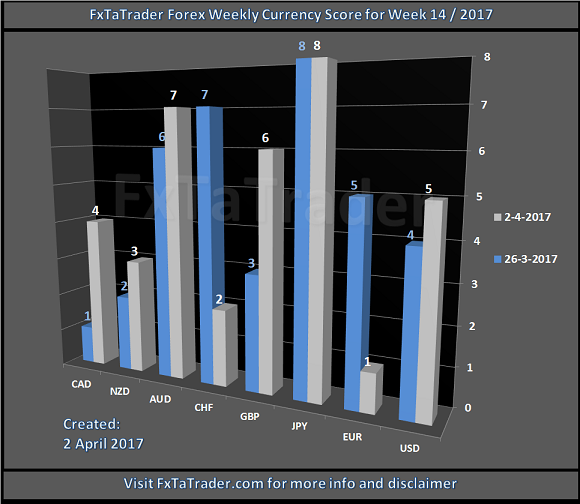 Besides this article, I also use the Forex "Strength and Comparison" which is also available once a week on my blog. In that article we look in more detail at the relative position of the currencies and pairs. We will look in more detail at the interesting pairs from a longer term perspective for trading in the Daily and Weekly chart. We will use the information from this article, "Ranking, Rating and Score", and analyze it further in more detail.